Our local Farmers’ Market is normally held on the last Friday of each month. 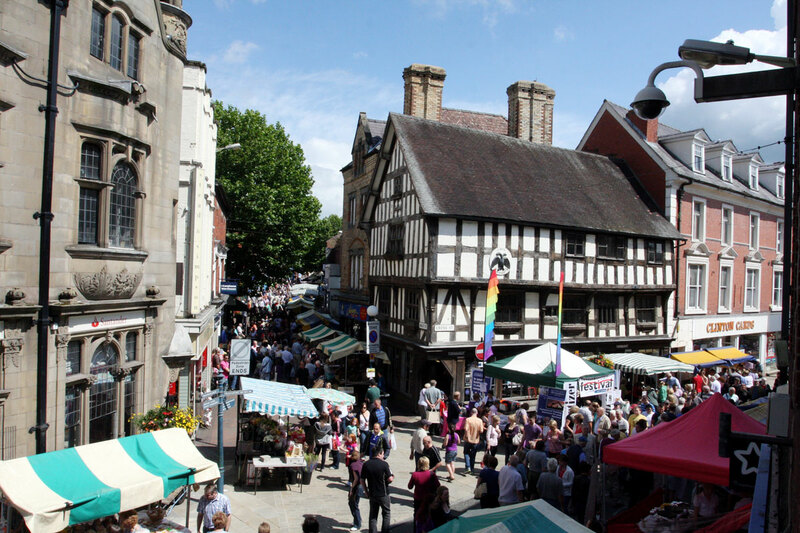 Oswestry Markets received a great accolade in being awarded the Best Local Council Market for 2013 by the National Association of British Market Authorities. Cae Glas Park is widely recognised as our local jewel in the crown. 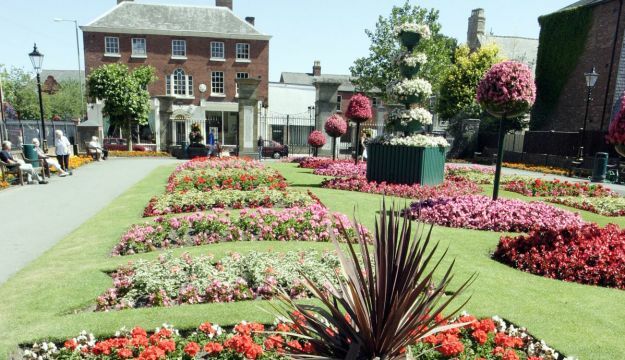 Throughout the year the gardens are a blaze of glory and the Park has been a major factor in Oswestry, receiving a Gold Award in each of the last 9 years from Heart of England in Bloom. In the Park are traditional games such as bowls, tennis and crazy golf and a children’s playground, that has been substantially refurbished. Through the summer a series of Sunday concerts are held in the bandstand. Oswestry Visitor & Exhibition Centre is a landmark building in the town; built in 1407 it was the second oldest grammer school in the country. The building is now a magnet for visitors to its arts and craft exhibitions and sales. It has a charming coffee shop, offering a menu of local delicacies, and here you can find all about Oswestry in our town centre tourist information point. The Town Council supports our town centre with many events throughout the year. Continental, specialist and local community markets appear regularly alongside our weekly traditional market days. The Oswestry Youth Music Festival attracts over a thousand youngsters each March, and Oswestry Christmas Live, on the first Friday in December, gives the town streets a buzz with fairground rides, stalls, live music, ice rink and a stunning firework finale.